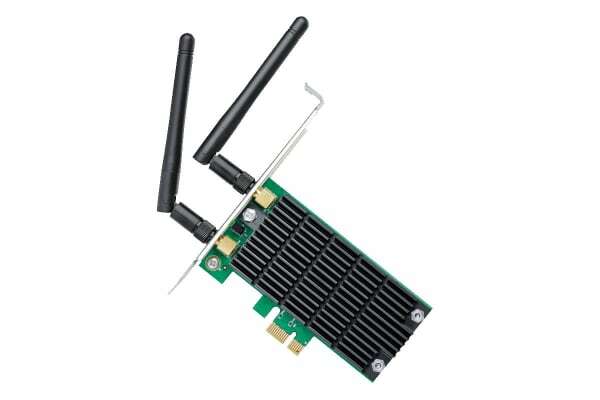 Perfect for high-intensity network usage! 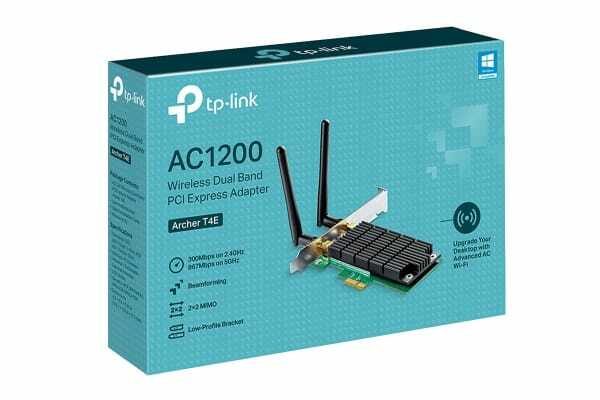 The TP-Link AC1200 Wireless Dual Band PCI Express Adapter supports the advanced Wi-Fi standard of IEEE 802.11ac, offering 3 times the transferring rate as that of IEEE 802.11n. Beamforming technology smartly focuses Wi-Fi signals towards connected devices for stable connections and boosted range. Two external antennas utilise the latest wireless technology to achieve stable connections and boosted coverage. 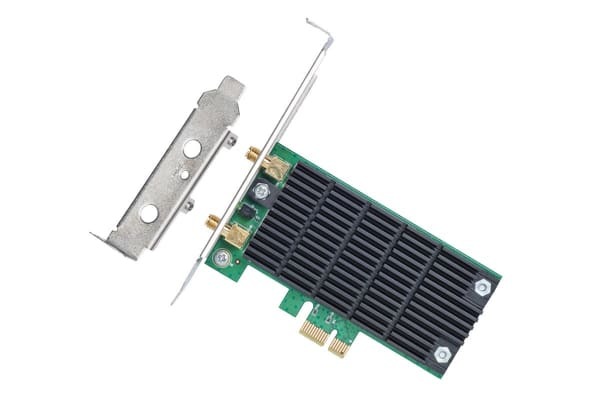 A heat sink helps to dissipate the thermal energy generated by the adapter, which in turn improves stability. Additionally, lower temperatures help to extend the product lifespan.